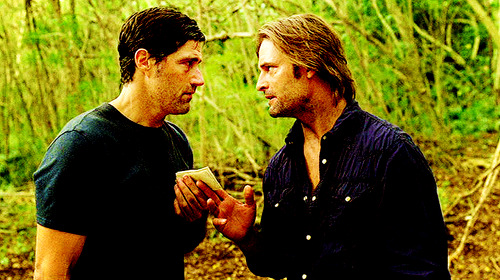 Fan Forum > Archived Forums > Lost > Jack & Sawyer | Josh & Matthew #6: Because we know they went fly fishing together! I highly doubt it. The closet Lost member that might see each other on the red carpet are Matthew and Evi since both movie might be at award shows during award season. Forget Jawyer, I think we should nickname them Joxy.